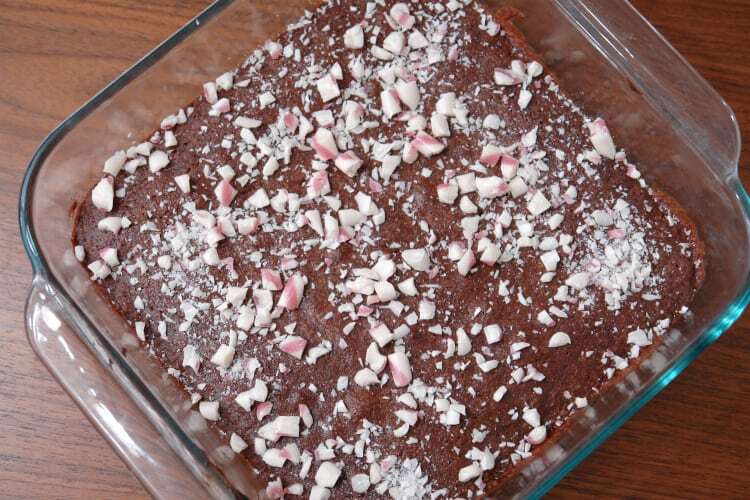 Peppermint brownies are a very easy holiday dessert. This brownie recipe is made from scratch but only requires one bowl so clean up is really easy. I’ve never been the biggest fan of cake. It’s not that I don’t like it but it’s not one of my favorite desserts. Even for my birthday I always requested brownies instead of cake. I used to always make brownies from a box, even though I’ve been baking since I was a toddler. For some reason, I had this idea they were difficult to make. There are recipes out there that do require a fair amount of work with things like melting chocolate. Those recipes are great but if you want something that is still delicious but a bit quicker and requires less cleanup, this recipe is for you. It’s just as easy as a mix but it tastes so much better. 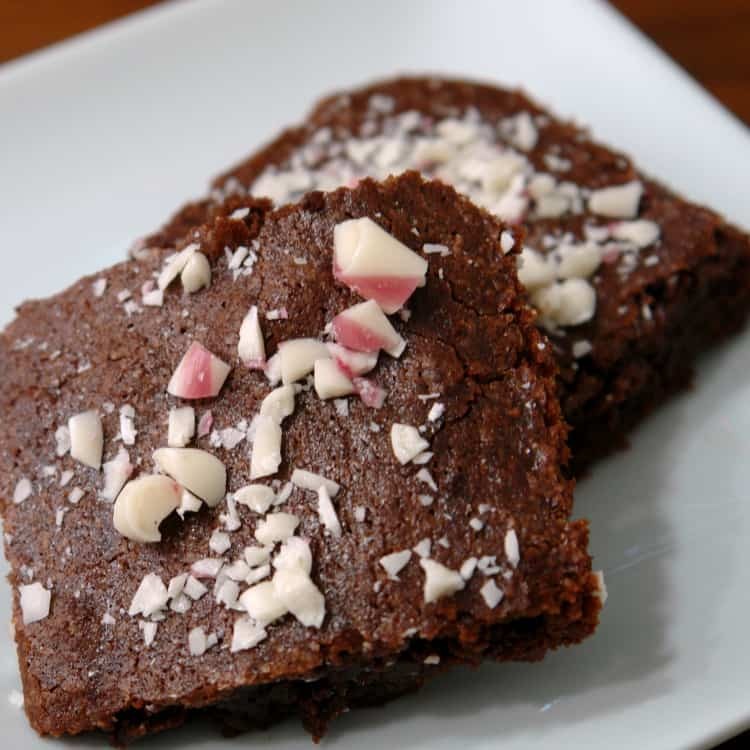 I like to play around with brownies and have made wonderful desserts with my basic brownie recipe. 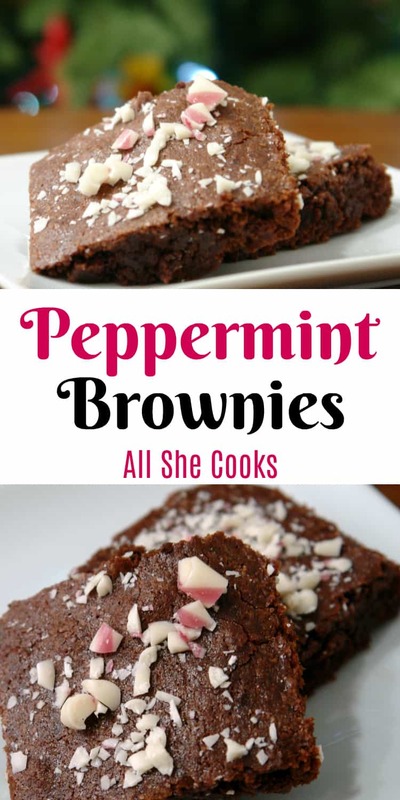 Two of my favorites have been peppermint cheesecake brownies and peanut butter swirl brownies. Both are really delicious but I wanted one that was still great for the holidays but quicker to make. 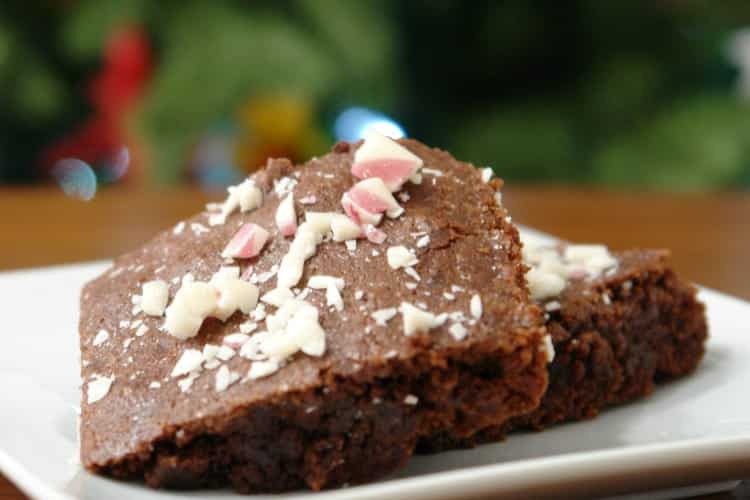 These peppermint brownies are perfect because you can whip them up in no time. 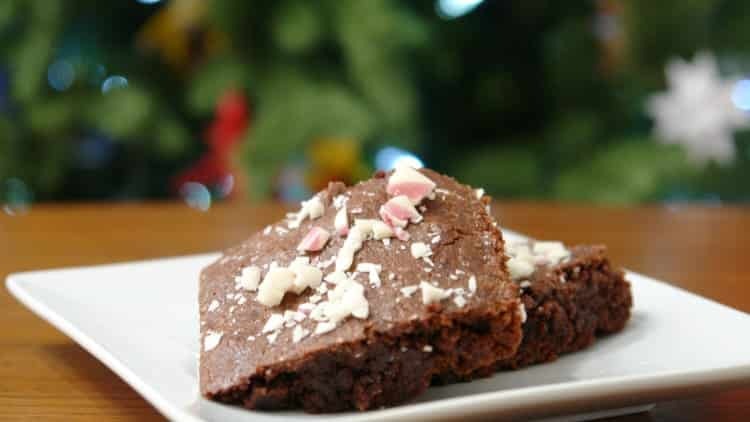 If you get a last minute invite to a holiday party or have last minute guests you can make these brownies and impress everyone with very little work. 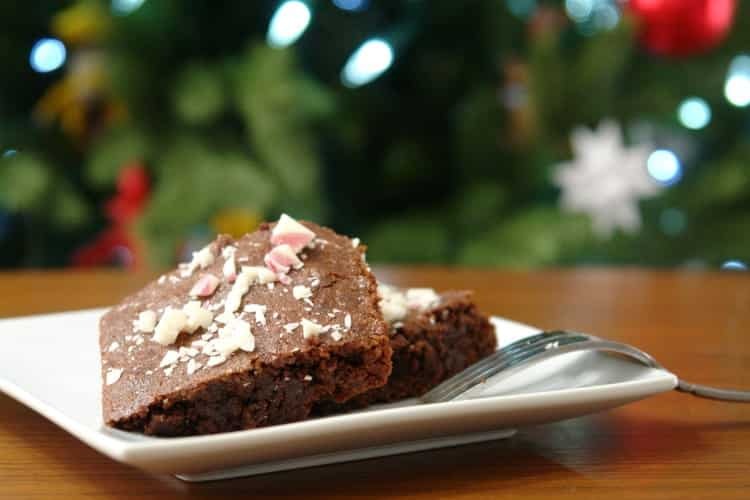 Before you start making your brownies, go ahead and crush your candy canes. I use about three for this recipe. To crush them put in a ziplock bag and use a meat mallet or hammer to crush them. The next thing you need is melted butter and start pre-heating the oven. I do this on the stove but you can also do it in the microwave. I love that this recipe uses melted butter because you don’t have to worry about softening it ahead of time. While your butter melts go ahead and grease your pan. I like to save the butter wrapper and use it to grease the pan. It’s mess-free and reduces waste. After your butter is melted, you want to mix it with the sugar. And then add your cocoa powder and salt. This is when it will start to smell amazing. Add one egg at a time, mixing between. Then add the vanilla and peppermint extracts. Followed by the flour, mix until all of the flour is incorporated but try not to over-mix. Pour your batter into your prepared pan and top with crushed candy canes. Bake the brownies, being sure to not overcook them. And once they are done, enjoy! These are also delicious topped with a bit of vanilla or peppermint ice cream. It would also be fun to set up a brownie sundae bar with ice cream and toppings so people can create their own sundaes. This recipe makes an 8×8 pan, you can double the recipe and use a 9×12 pan. Be sure to add 5 minutes to the cooking time. In a medium bowl, combine melted butter and cocoa and salt, stir until cocoa is dissolved. Stir in vanilla and peppermint extracts. Add in flour, stir until you don't see any more flour. Do not overmix. DO NOT OVER-BAKE. Your brownies will come out dry. Test with a toothpick, it should come out with moist crumbs, not clean.